A whimsical, island-style, orchid bouquet with a “pair” of mini-pineapples epitomizes your happiness, carefree laughter and love. 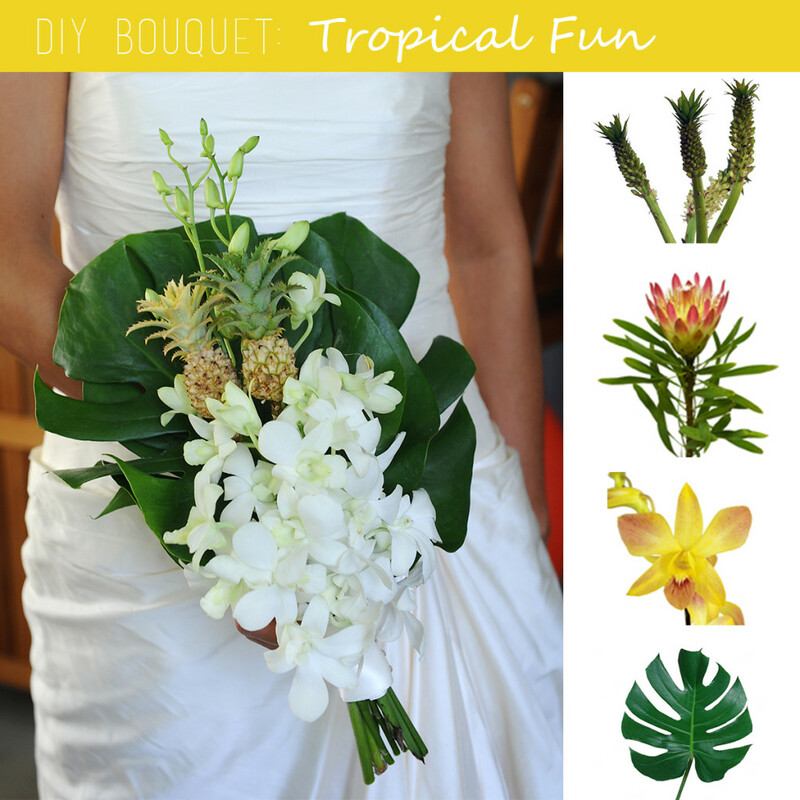 Celebrating your tropical wedding day with an orchid and monstera leaf bouquet gives you that fun loving, vacation-happy glow. Add fun details like having each bridesmaid wear a mini pineapple in her hair, serving rum punch as your specialty cocktail and vibrant, yellow pumps for the bride. A tropical wedding will make for a fun and relaxing weekend as guests are immediately signaled to step into vacation mode. This bouquet was created by me (a regular DIY-er and surely not a professional florist!) using Ornamental Pineapples, Monstera Leaves, a green filler with that quintessential tropical flair and Dendrobium Orchids, sweetly scented, delicate blooms that come in many, many colors so you can combine your favorites.